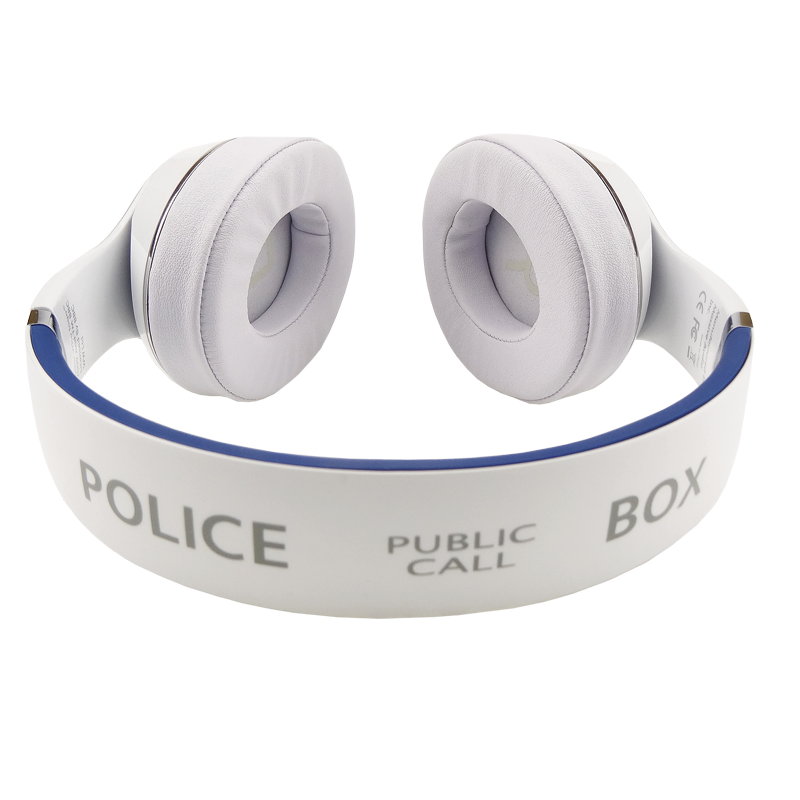 BBC has partnered up with Massive Audio to create these Doctor Who headphones. And they actually seem pretty great. The only thing is, that police box on the white ones look quite tacky if you ask me. The design on the black ones however are really neat, although I would have liked the white ones without the police box better. There will be two versions, one with bluetooth and one without. The bluetooth version will have 30 hours of battery time and can be recharged via USB. Both versions also feature a built in microphone. The wired version will go for $79.98 and the bluetooth version will go for $119.98 and they will hit the stores in early October. So be on the lookout, a list of US retailers can be found below. The specs don’t say too much about sound quality, although it seems promising. LOS ANGELES, Calif. September 29th, 2015 – Electronics company Massive Audio® Inc. today announces the introduction of their new Doctor Who Headphone Collection under license from BBC Worldwide North America. The Over-Ear Bluetooth and Wired collection of headphones are to be released October 1st and will be available for sale in retail stores and online in early October. In April 2015, the company released TARDIS and Dalek Bluetooth speakers, which have been a hit with fans. They now follow those speakers up with their new headphone collection, which includes the TARDIS and DW insignia Bluetooth and Wired Over-Ear Headphones. 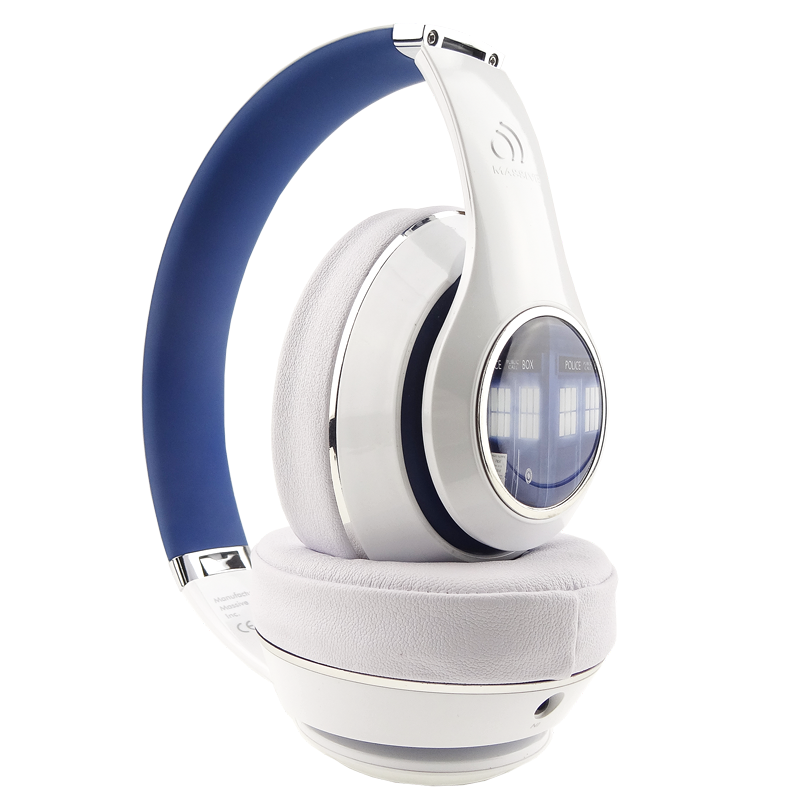 These high-quality, stylish headphones will appeal to fans of the hit BBC AMERICA sci-fi series and headphone aficionados everywhere. The Bluetooth Headphones feature built-in buttons for full control over tracks, volume, and phone calls, as well as a bass boost option. 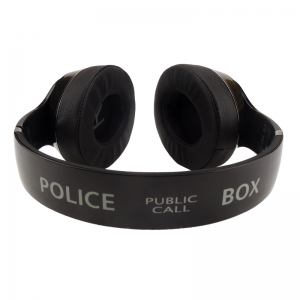 They also have a built-in microphone that allows for phone calls without the need of a boom. The rechargeable battery is fueled via the included USB cable and lasts 30 hours with constant music. 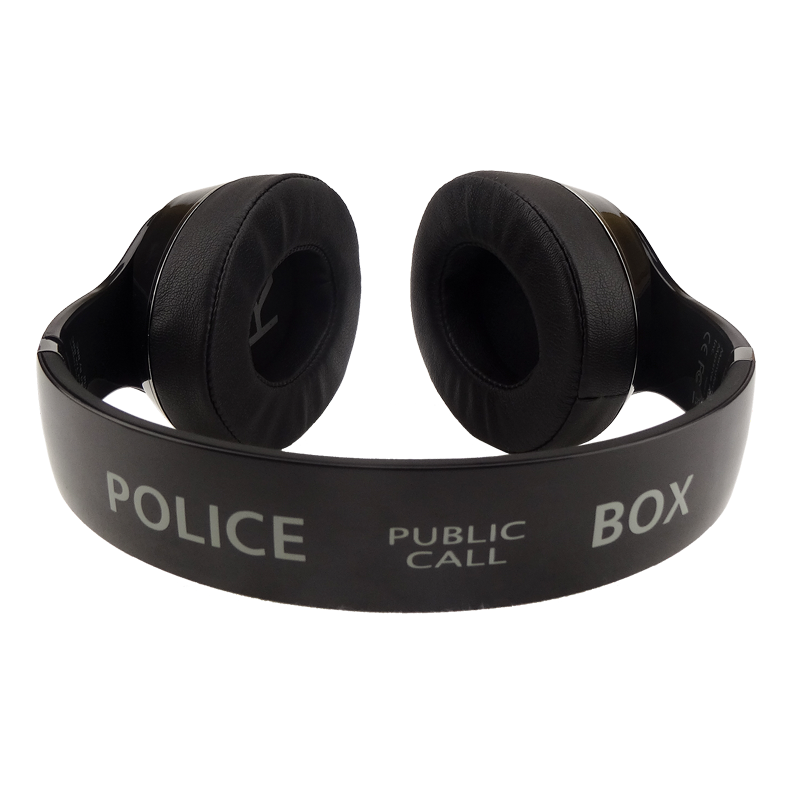 The Wired Headphones come with an inline control box with the same features and microphone. 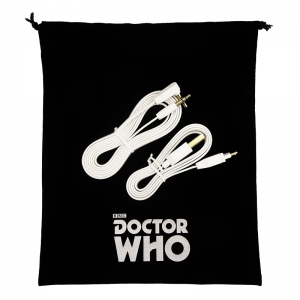 Both include a Doctor Who-branded carry bag and flat tangle-free wire packed in a collector’s-style windowed gift box. 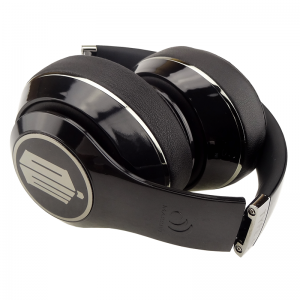 Massive is known for its excellent sound quality, and these headphones are no exception. Ranging from $69 – $119, they are a must for the new season of Doctor Who. 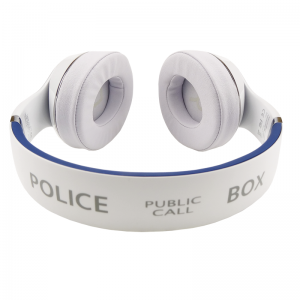 “Following the success of Massive Audio’s TARDIS and Dalek speakers, Doctor Who headphones seemed like the perfect next step. Whovians are sure to enjoy listening to the Doctor’s newest adventures through these high-quality headphones,” said Soumya Sriraman, EVP Film, Home Entertainment, and Licensing for BBC Worldwide North America. Since 1999 Massive Audio® has been an industry leader in high performance audio products. Massive Audio laid its roots in high quality audio reproduction through in-house engineering and a dedication to customer satisfaction. In today’s industry, aftermarket products need to excel not only in their ability to reproduce the dynamics of music accurately, but also their ability to integrate within the confines of the modern environment. In anticipation of such needs, Massive Audio has introduced an array of outstanding products designed for the enthusiast who will accept no compromise, yet recognizes true value. BBC Worldwide North America is the main commercial arm and wholly-owned subsidiary of the British Broadcasting Corporation (BBC) operating in the U.S. and Canada. The company exists to maximize the value of the BBC’s assets for the benefit of the UK license payer and invests in public service programming in return for rights. The company operates four businesses in the territory – linear and digital content sales and co-productions, consumer products, BBC.com, and BBC Worldwide Productions, the production arm responsible for the smash hit Dancing with the Stars. The company also owns a 50.1% share in cable channel BBC AMERICA through a joint venture with AMC Networks.